Santa Rosa Photographers. We specialize in wine bottle photography, so don't hesitate and have your wine captured in an amazing way with our photography. Need photography near Santa Rosa? If you local and/or national awareness for your business , you need an agency whose specialty is digital creative -> photography, video, design, print, and promotion. Although product photography has always been our specialty, we have grown our business in Santa Rosa to include a wide range of product marketing services. Producing Bottle Shots for wineries in Sonoma County is where we started our wine photography and product marketing business. When a Santa Rosa business contacts us for ny sort of digital creative project, we often start with a simple photography project. Once our Santa Rosa clients discover our holistic approach to product marketing, they have us handle the graphic design, printed promotional materials, and digital marketing, too.  What makes Left Coast Marketing unique from the competition is that we are both technical AND creative. To explain, we are photographers that are very marketing savvy, and we infuse our marketing strengths into our digital creative projects. If our Santa Rosa clients love our wine bottle photography work -- which they usually do -- they know we have the capabilities of taking them beyond just photography. We take our clients to the next level with full product marketing services, allowing them to digitally market their products far beyond Sonoma County! Got questions about our photography packages? Contact us to learn more about our, design, print & promotional services . When we do bottle shots in Sonoma County, wine pickup and drop-off is FREE for wine, beer, & specialty food producers (and just about anyone else).